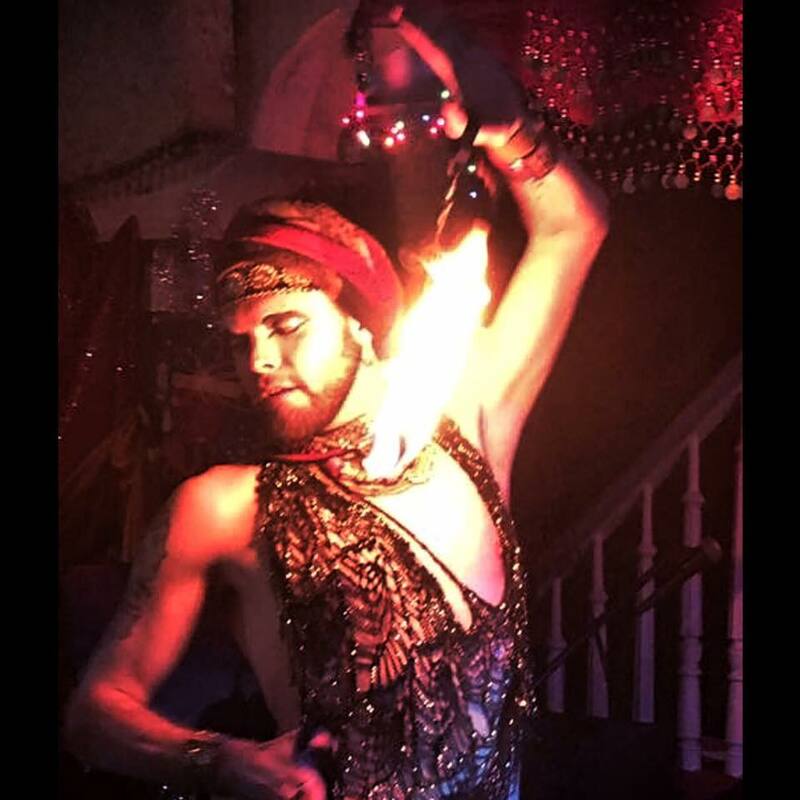 ABOUT Teresa: Teresa has studied ATS w/Carolena Nerricio in San Francisco, focusing on FatChanceBellyDance's method of tribal style belly dance for over 16 years. She began studying dances from other cultures by first studying cabaret and folkloric forms of belly dance from Suzanne Armetta and Flamenco from Peter Suarez. After the unexpected passing of her teacher, Suzanne, she along with Melissa Smyth and some of the other dancers studying with Suzanne Armetta founded Rakadu Gypsy in 1997 and began introducing the art of improvisation and working with live musicians. Teresa toured and was the featured dancer for world funk band, Catawampus Universe and with the East meets West project, Orchestra Gaandarva when she studied Indian folk dances and Kathak with the Pandya family from India. In 1999 she and fellow Rakadu member, Lisa Duggins opened Mecca Live Studio and Gallery in Lexington, KY, which focuses on offering dance classes from other cultures and curates live performances and large scale community based events, like the recreation of Michael Jackson’s Thriller during Halloween and Lexington's annual Mardi Gras Jazz parade. While Teresa’s main focus is her studio and dance company’s particular blend of highly developed improvisational tribal belly dance, she continues to study many other forms of dance, including: Kathak, West African, Samba, Hula, Turkish Rom and more. TaraSita's most influential teachers include: Carolena Nerricio, Dalia Carella, Jill Parker, Rachel Brice, Mira Betz, Liz Strong, Morocco, Amel Tafsout, Zoe Jakes and the ladies of Zafira. Chandra Nair grew up dancing ballet and discovered a love of dancing when she took her first African Dance class with Aminata Cairo. 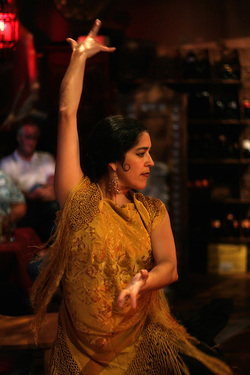 This led her to Middle Eastern dancing and then to Flamenco, the dance and music of Spain. She has learned from masters such as Mara Maldonado, Peter Suarez, Diana Dinicola , Antonio Granjero, Pepita, La Tati, Antonio Vargas and Dionisia Garcia. She has performed with Ballet Español, Flamenco Louisville, Jaleos Flamencos and founded Sueños Flamencos with Jennifer Laughlin and Brenna Warnock- O’Hara. 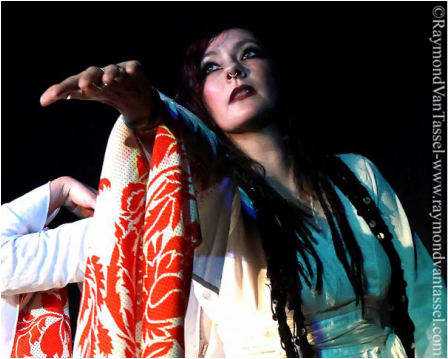 Chandra is thrilled to bring the dynamic and passionate dance of Flamenco to Mecca. Tripp Bratton embraces a wide array of artistic media. 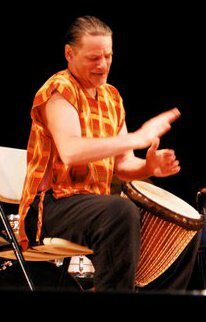 As a percussionist, his diverse range of stylistic capacity has enabled him to perform with the Lexington Philharmonic, The Pride of Cincinnati Drum and Bugle Corps, the Primary Rhythm and Riff Revue (performance art/musical poetry), African percussion Performances with Syncopated Inc. (dance), Marvin Hamlish, Gail Wynters (jazz, soul), the Nego Gato Band (Brazilian), Og Pots (progressive,Avant Garde), Round Trip Sounds (reggae/Caribbean), Ibou and Friends (West African), Bela Fleck (jazz/bluegrass fusion), the Bruce Lewis Band (jazz,rhythm and blues),and the Gideon Foli Alorwoyie Ensemble (African percussion/dance). He has also produced numerous recording sessions at Toontown Recording Studio and in his own studio at One Circle Productions, where he continues his work. Tripp's current performance equipment includes: a MalletKat (operated much like a vibraphone) that controls a complex digital soundstation comprised of various synthesizer and percussion modules, triggered by the mallet pads; a synthesizer, and a variety of African/Latin percussion instruments featuring the djembe drum, congas, xylophone, and drumset. Eva Ensmann has been belly dancing for more than 17 years. She trained for seven years in the San Francisco Bay Area as a cabaret belly dancer with Nanna Candelaria and was a principal dancer with the troupe Tabu. After moving to Lexington, she became a principal dancer with Rakadu. She currently dances with two belly dance troupes: Rakadu and Hala Alimah. Eva grew up dancing and prior to belly dancing has 10 plus years of ballet training in NYC, Estonian folk dancing, and ballroom dancing. She also has informally been belly dancing since she can remember (her mother is a belly dancer and belly dance instructor) – she cannot imagine life without dance.